Michael Seibel is the CEO of Socialcam which he recently sold to Autodesk for $60 million. Socialcam is the easiest way to create and share videos from your smartphone. 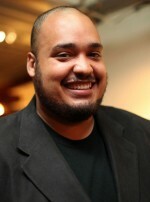 Before Socialcam, Michael Seibel was the co-founder and CEO of Justin.tv. Justin.tv has grown to be the largest live video site on the Web, and now boasts more than 30 million unique visitors each month. Michael earned his bachelor’s degree in political science from Yale University, where he focused his studies on American government.